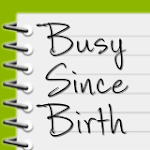 Busy Since Birth: Hey! Hi! How are you? It's only been 10 days since my last post, but that is beginning to feel like an eternity to me, so a catch up post is in order. I promise it's been a really busy 10 days. - Just in time for it to end. But we had a nice night at temple for Simchat Torah. We've started to make Max practice the Shema, the most important Jewish prayer, as a year from now it'll be his consecration and he'll need to know how to say it then. One of the lines ends with "Adonai echad" and he has been substituting "laolam va'ed." If you know which two prayers I'm referencing, you'll see how easy it is for him to have made that mistake - yet I've never thought of it that way myself before. 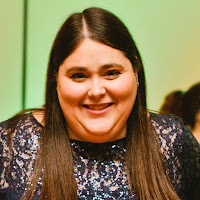 - Tuesday saw me up early to do the 6 am Zumba class at the JCC, which I am hoping to make a regular habit again now that the holidays are behind us. I'm no longer seeing my personal trainer, but am still making an effort to keep exercising. I also took the kids for their flu mists and Max for a haircut, and was happy to be able to work late that day and shift my hours to accommodate my life. - Thursday found me at the dentist for two tiny fillings that were adjacent to each other. I am a HUGE wimp when it comes to dental pain, and my jaw is still a bit sore 72 hours later. I actually skipped out on attending a social event that night because I knew how miserable I'd be! - Friday was really busy at work, completing a major project and doing a film shoot for a new webcast with my bosses. Saturday we were back at synagogue for a family service, then we went to the Newton Harvest Festival and Ana and I went to see "Pitch Perfect" that night. Today has been another packed day with another workout, cleaning and laundry, and working with Hannah on a huge school project. And yes, it's looking like a busy week ahead. But, I'm leaving for Naples, Florida, BY MYSELF, on Thursday. I'll be spending my birthday weekend with Julie. It's still in the 80's there and we will be going to a beach. I am super excited for this time away and a chance to slow down a bit. It sounds like a good way to start off the second half of this decade. A couple extra cute pictures, just because I can. How're things with you?